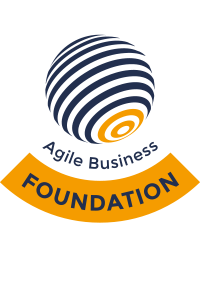 The Agile Business Foundation (ABF) certificate is meant for people who work with Agile and Scrum in a non-IT context. The certificate establishes your knowledge of Scrum basics and allows you to distinct yourself from others who cannot demonstrate their expertise with a recognized document. The BAB certificate is intended for professionals who recently started Agile- or Scrum working in a non IT-environment. You do not need to have in depth experience with the application of Agile and Scrum, but you do need to know the theoretical basis. Please make sure you study the curriculum extensively. Costs of certification are €60 (including taxes) for each attempt. The certificate has no expiration date and is valid indefinitely. It is not mandatory to take a course with any of the official partners of the IIABC; if you have in depth knowledge of the material and are comfortable with taking the exam you can do this online directly or at any given moment. However, completing a relevant course does significantly increase your chances of passing the exam. © 2018 IIABC - International Institute for Agile Business Certification. All rights reserved.